The Alfa Romeo Sprint is a coupé version of the Alfa Romeo Alfasud, produced by the Italian manufacturer Alfa Romeo from 1976 to 1989. 116,552 units of the Alfasud Sprint and Alfa Romeo Sprint were built in total. The Sprint was sold in Europe, South Africa, Australia and New Zealand. 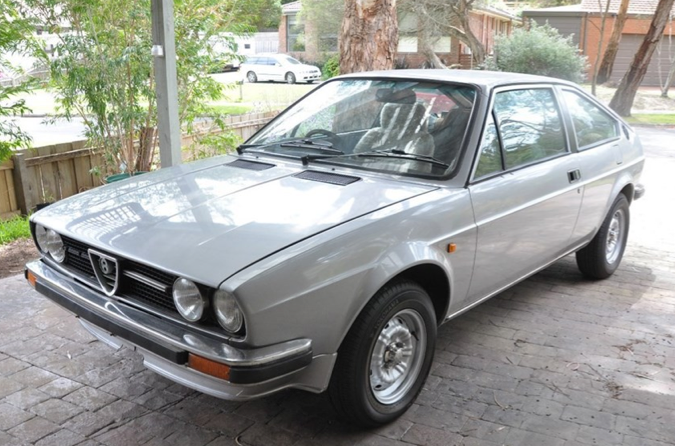 Until 1983, the car's name was Alfasud Sprint and after that year Alfa Romeo Sprint. The Alfa Sprint used to be a very popular racing car in the late 70s until 1983. Sprint Trofeo was a well known European GT competition in those years. Still, Alfa Sprints are being used in significant numbers as racing cars, mostly in historic cups or hill climbing races, its popularity mainly due to its good handling capabilities.